The Barber Pole Waterville has a sophisticated feel to it. The mallet isn’t too heavy nor is it too light. When you finally hit the ball, you’re going to love the feel and sound. Even a friend of mine told me he could tell this was a nice putter by just the sound alone. My first round of golf with the Waterville did not go as expected. I thought what is normally expected when switching to a new putter, a lot of missed putts. This was not the case at all. Of course I missed a few puts but not to the extent I figured I would while transitioning to a new putter. The ball seems to roll perfect unlike many putters I have used in the past. This true roll is due to the Barber Pole Radius Face Technology. This technology is made to put topspin on the ball to give the golfer more control and accuracy. I am telling you, use this putter. You will know what I am talking about. 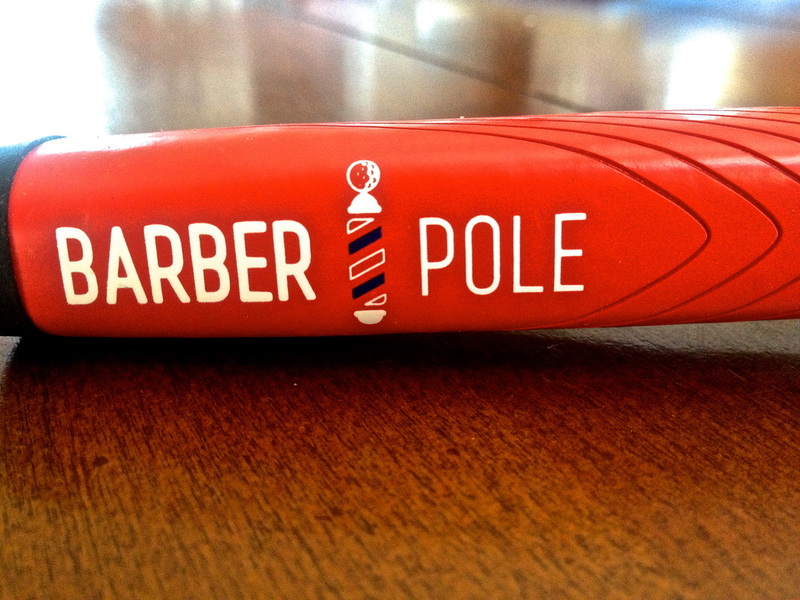 The Barber Pole brand is here to stay. 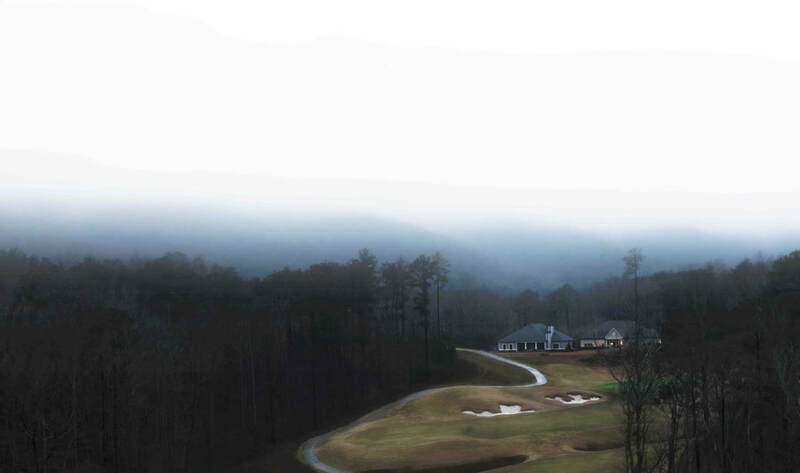 This is a company that will last because their putters are timeless. I have yet to see another brand with such a classy take on the putter. Their tag line is, “ The Worlds Finest True Roll Putters.” After just trying out one of the four putters they offer, I am a believer. 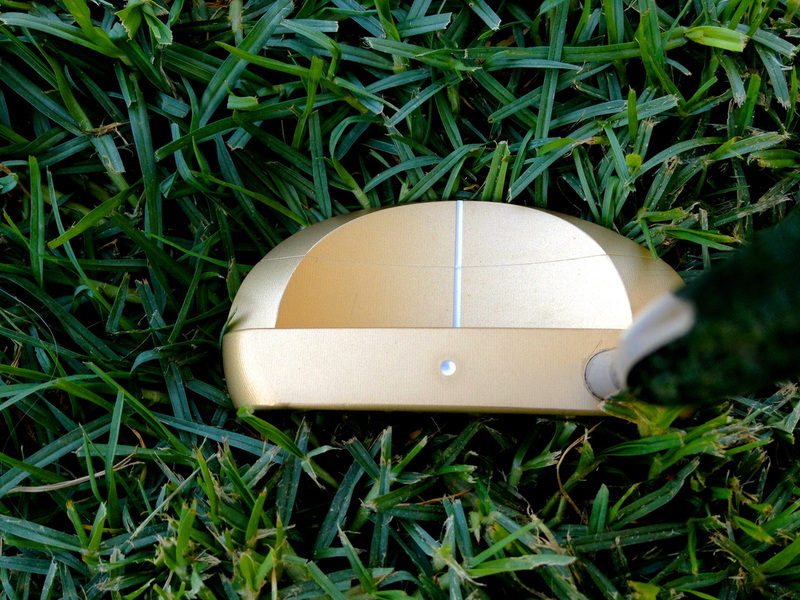 The putters are made from a solid piece of brass and milled down to the perfect size in the USA. Not many United States brands actually produce their products in the USA. So the next time your looking for a putter, try a Barber Pole. When I first received the Waterville putter I knew right away how much attention to detail went into building such a great putter. The Barber Pole company strives on creating high quality products and they hit the nail on the head with this putter. If you are looking to trade in your old putter then get a Barber Pole Putter, you won’t be sorry. I am so impressed with the putter that if you see me on the course, I will most likely have a Barber Pole Putter in my bag. 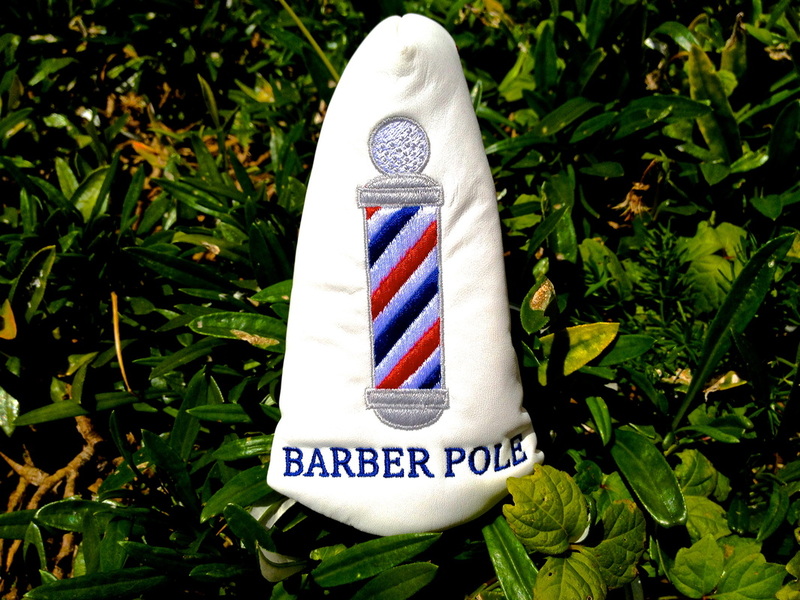 You can find the Barber Pole online on their website. Click Here to check it out. A putter is a club many golfers don’t switch out often. When I received the Barber Pole Putter, I was amazed at how perfect it looked. Not only does it have a nice gold/brass finish, but the grip catches your eye as well. I mixed in the Barber Pole putter for a few rounds and now I have it every round. I don’t leave home with out it. 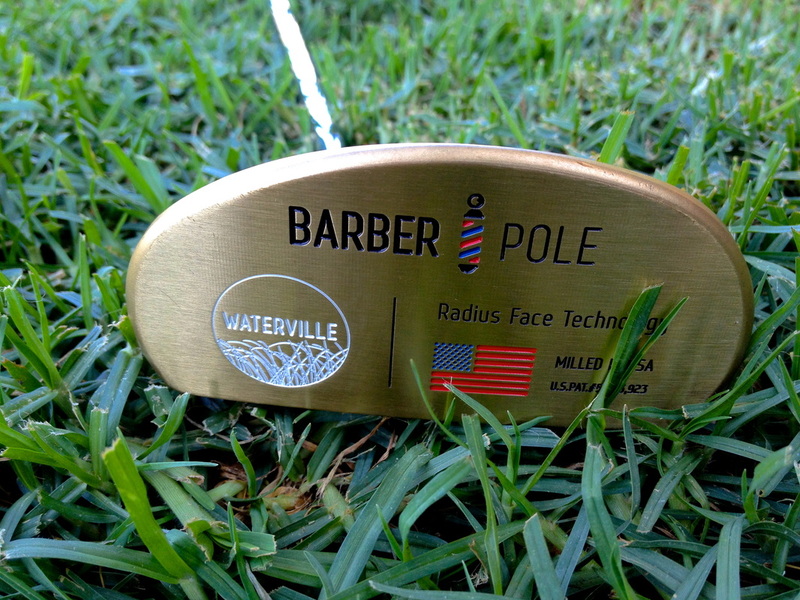 Here is the Golf Review Guy’s Review on the Barber Pole Waterville Putter. The Barber Pole Waterville putter has a very clean and classic look, like all Barber Pole Putters. The Waterville has a mallet head and is made from a solid piece of brass. I believe the finish really pulls everything together and gives the putter a unique look. 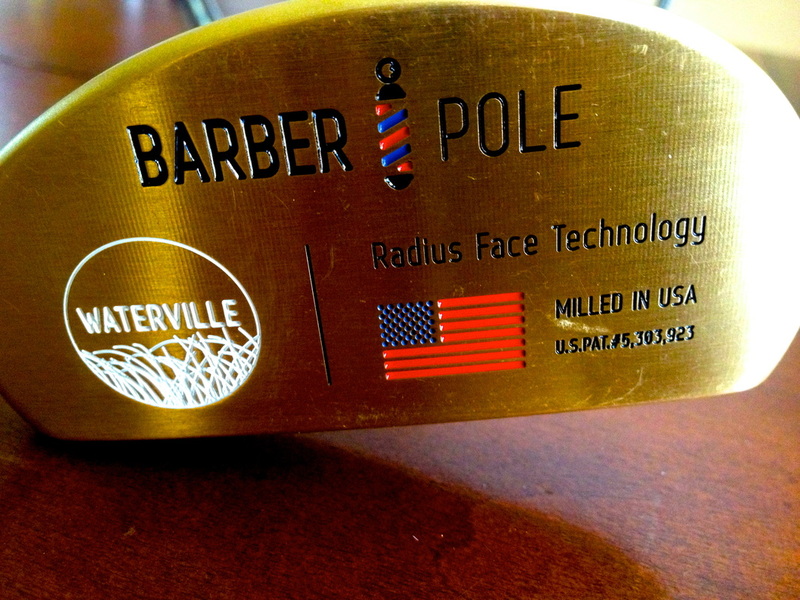 The Barber Pole Waterville is not a mass-produced product and you can tell by the sight of it. The Waterville is an Irish Links design putter, which means it has a cavity back and is pretty thick. The Waterville also comes with a nice head cover that you can see in the pictures. 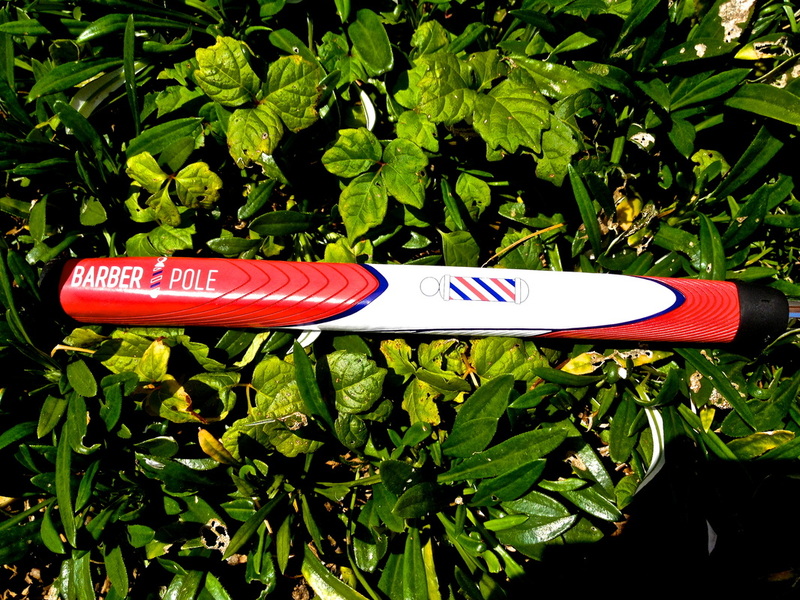 The grip either comes in the standard Barber Pole design or they have a new style that also looks amazing, the pattern you see in the pictures.